GopherCentral Library: This cat has a trick up his sleeve! 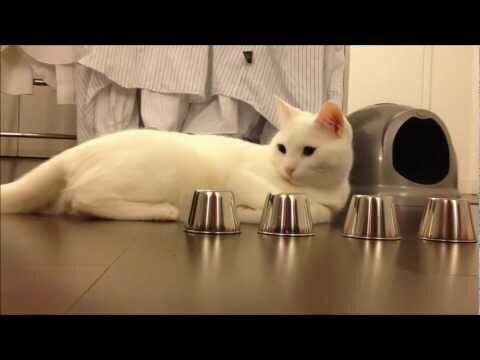 Watch this cat play the "Guess which cup the ball is under" game. This person trained their cat to pick out the cup which contains a toy. I had no idea cats were this smart! I was surprised to learn that cats demonstrate different types of intelligence through hunting, problem solving, memory, protection and training. For any cat owners out there, try out this fun trick with them. They might surprise you too! Enjoy.